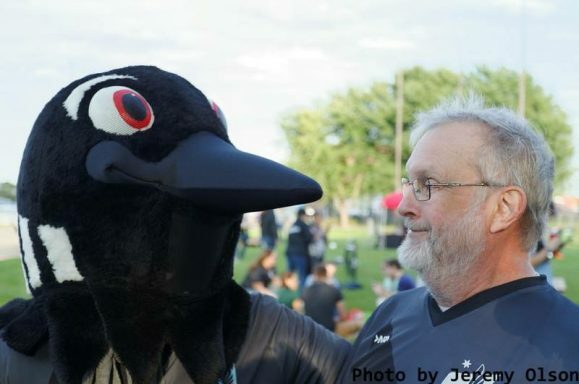 On Sunday, April 30, longtime Minnesota soccer supporter and Dark Cloud member, Tom Donovan passed away after a several-year-long battle with cancer. He was 69 years old. Tom Donovan may not be a name that younger fans know, but they should. Tom was a devoted soccer supporter long before it was trendy and worked throughout his life to spread the gospel of the beautiful game. “Before there was a Dark Clouds, American Outlaws, or Sam’s Army, there was Donovan blazing the path for US Soccer supporters,” said good friend Charlie Callaghan. He was in Italy at the ’90 World Cup supporting the U.S. and made many away trips following the Minnesota Thunder in the club’s early years. “Over the past 17 years, I had the pleasure of traveling to many matches with Tom. Most memorably, he was with me the first time I saw the U.S. play a World Cup match and the first time I saw Liverpool play at Anfield,” said Callaghan who is a Reds fan. Before there was a Dark Clouds, American Outlaws, or Sam’s Army, there was Donovan blazing the path for U.S. Soccer supporters. 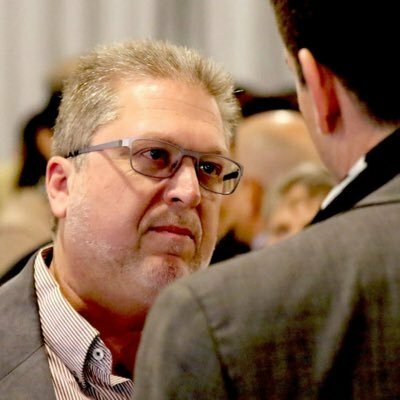 Wattenhofer says his first exposure to Donovan was on the USL Discussions message board where often he would offer his spare ticket to newcomers. “I volunteered myself to be the recipient of his extra ticket one night, and there I met someone who would change my life,” Wattenhoffer recalled. A year later, Wattenhofer was traveling to the World Cup in South Korea with Donovan and a few new friends, like Steve King and Bruce McGuire. Donovan had previously traveled to see the three World Cups: Italy (’90), USA (’94), and France (’98). 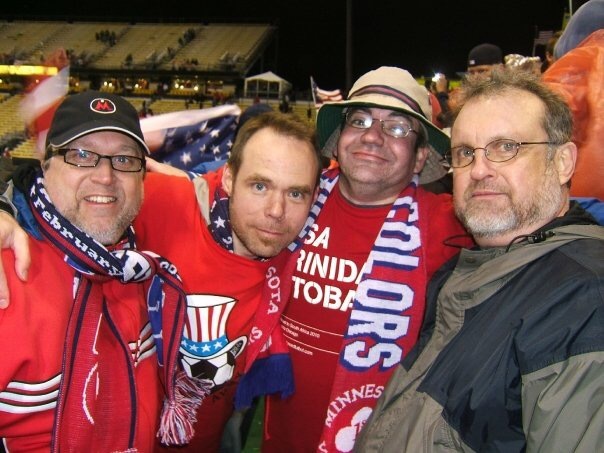 Left to right: Brian Quarstad, Steve King, Paul Demko and Tom Donovan after another dos a cero victory over Mexico in Columbus, OH. Photo courtesy of Rich Harrison. Inspired by Donovan, Wattenhofer continues to travel to away games for club and country. But there was more to Tom Donovan than just soccer. He was an attorney who had his own practice, was well read, and curious about everything and anything. Tom Donovan also had a warm self-deprecating sense of humor. His friends all recall multiple stories, that have been good fodder throughout the years for bellying up to a bar or a pregame tailgate. According to Wattenhofer, the last of Donovan’s World Cup trips was Germany 2006. He was scheduled to arrive by plane and then take a train to meet his 10 traveling partners at the Hotel Ibis in Heidelberg. “His standard operating procedure when traveling in any country was to first find the taxi and ask to be taken to his hotel, whose address he had scratched carefully on a piece of paper before leaving home,” explained Wattenhofer. Tom was an away fan long before that term even meant anything to American soccer fans. He used soccer as a way to see the world and make new friendships. Outside the train station in Heidelberg, despite many taxis, Donovan couldn’t find anyone willing to take him to his hotel. Perplexed he finally convinced a cabbie to transport him to the Hotel Ibis. Donovan hopped in the taxi with his bag, closed the door, and proceeded to be driven 100 feet to the Hotel Ibis which neighbored the train station. “The Ibis sign is the first thing one sees when walking out of the station,” recalled Wattenhofer. Later, Donovan freely volunteered the story to his friends, telling of his silly excursion and laughing as he told it. He even posed for a picture with the taxis at the train station with Hotel Ibis in the background and sharing the joke with the drivers. “He loved to make sport of himself,” said Watterhofer. Donovan was also part of a team that led an unsuccessful bid to have World Cup ’94 matches hosted at the NSC stadium in Blaine, Minn. He traveled to five World Cups, 20-25 World Cup friendlies, and a few seasons’ worth of driving to away Thunder matches in Milwaukee. “So it just made sense to create an annual Dark Clouds award to recognize individuals who travel to support the team they care about, make friendships and build a positive community around them,” concluded Crist. Tom is survived by his two sons; Sean (Andrea) Donovan, Chris (Jamie) Donovan; and his four beloved grandchildren Zachary, Jacob, Keegan, and Liam Donovan. His memorial gathering will be held Thursday, May 4, 2017, from 5:00-7:00 p.m. with a short service of remembrance at 7:00 p.m. at Wulff Funeral Home, 2195 Woodlane Drive Woodbury, Minn.
Thomas L. Donovan will forever be a Dark Cloud and is now traveling on the ultimate away trip. 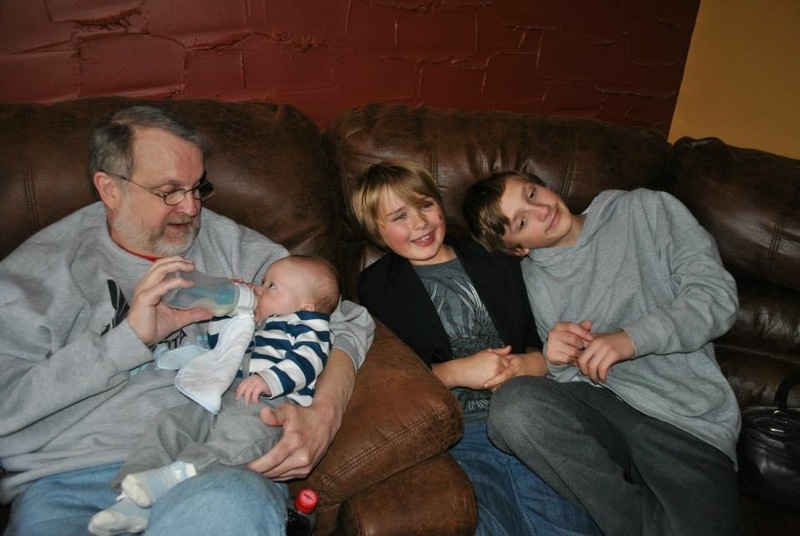 Tom Donovan with his grandchildren.